"The Citizens have returned a phenomenal W41-D6-L2 since the start of 2017/18, dropping points in only three of 25 outings as hosts." Manchester City warmed up for the derby by recording their biggest-ever Champions League victory on Wednesday night. The Citizens strolled to a 6-0 success against Shakhtar Donetsk at The Etihad with Gabriel Jesus notching a hat-trick, alongside goals from David Silva, Raheem Sterling and Riyad Mahrez. Having smashed Southampton 6-1 here last Sunday, Pep Guardiola's side have now scored six (or more) goals in back-to-back games for the first time since November 1987. Over the 2018/19 campaign as a whole, City have struck at least five goals in five of their 17 outings across all competitions. Guardiola had the luxury of leaving Sergio Aguero and Leroy Sane on the bench, with Vincent Kompany and Benjamin Mendy left out of the squad to keep his players fresh. The Blues were also able to take off Silva, Kyle Walker and Fernandinho to give Danilo, Ilkray Gundogan and Fabian Delph some much needed minutes. Manchester United stunned Juventus with two goals in the final five minutes to beat the Italian champions in Turin on Wednesday evening. Juan Mata curled in a free-kick before Ashley Young's set-piece was bundled into his own net by Juventus defender Alex Sandro as the Red Devils burgled three points. Jose Mourinho's men saw Juventus hit the frame of the goal either side of half-time and managed only three attempts on-target across the 90 minutes, but proved clinical in attack when it mattered most. The Red Devils offered little attacking threat throughout until Mata's introduction late on. Mourinho recognised the importance of the points but bemoaned his side's inability to start strongly as United were forced to come from behind to seal top honours for the third outing in six. Alexis Sanchez could keep his place leading the line with Romelu Lukaku still a major doubt for Sunday's showdown. Manchester United [8.80] started the week as big as [10.00] to win on Sunday - the Red Devils have never been bigger to win any match across all competitions - but three consecutive victories, including that excellent midweek effort in Turin, has seen United's price contract. The Reds have lost just twice in eight derby meetings (W4-D2-L2) since 2014, and came from 2-0 down at half-time to triumph 3-2 here at The Etihad in their most recent meeting back in April. It was only the fifth victory for Mourinho in 22 meetings with Guardiola-led sides. Despite the above, a home derby victory is long overdue for league leaders Manchester City [1.43], who remain a cut above the rest of the Premier League's chasing pack. The Citizens have returned a phenomenal W41-D6-L2 since the start of 2017/18, dropping points in only three of 25 outings as hosts. City have W10-D1-L2 in that sample against Big Six clubs with Liverpool the only team to stop the Blues juggernaut. Six of those triumphs were achieved by a margin of two goals or more and they're welcoming a United outfit that have W2-D4-L5 when travelling to the same standard of opposition, firing blanks on seven occasions. 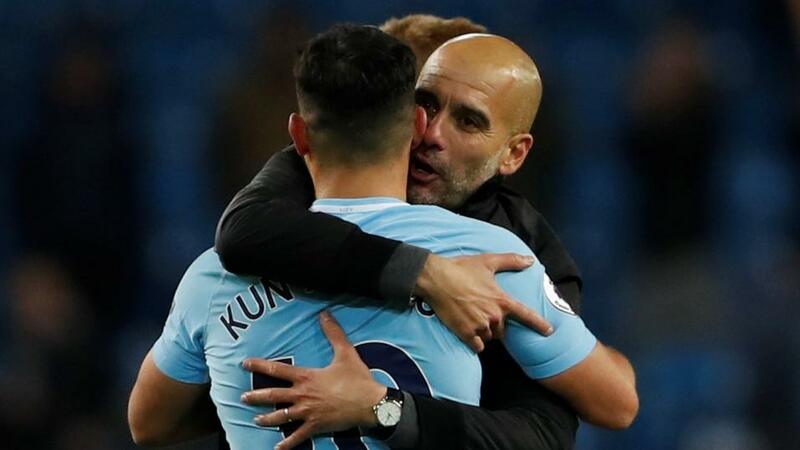 Guardiola's group have tended to take control of matches early this campaign, leading at the interval in nine of their 11 Premier League games, whilst the hosts are yet to give up a leading position when they have broken the deadlock. Considering the consistency of United's slow starts, backing City/City in the Half-Time/Full-Time market appeals at [1.77]. Over 2.5 Goals [1.49] - a winner in 9/11 (82%) of Manchester United's league fixtures this term is unbackably short, especially considering only 6/11 (55%) of Manchester City's matches have followed suit. Meanwhile, 8/22 (36%) of the duos combined Premier League tussles have featured Over 3.5 Goals [2.20]. There's no desire to get involved with either angle at the prices on offer, with Both Teams To Score [1.69] arguably the most appealing potential punt to take in the goals-based markets. It's proven profitable in 9/11 (82%) of the Red Devils' encounters but City haven't conceded from open play in 11-and-a-half hours in the Premier League and so it's a market best left untouched. No Premier League club has scored more than Manchester City's 24-goal tally from their opening six home games and with Manchester United shipping 18 goals across their opening 11 games - it took Mourinho's men 25 matches and until the 31st January to concede as many last season - the Citizens could run amok if they find their groove. Having been rested in midweek, Aguero will be keen to add to his tally of 17 strikes in his last 13 Etihad encounters. The Argentine hitman has notched seven times in 10 meetings with United and can be added to an attractive Same Game Multi option from Betfair Sportsbook on Sunday. Select Aguero to score, Man City to lead at half-time, the hosts to win the contest and the Citizens to score Over 1.5 Goals and we'll be offered a healthy 21/10.